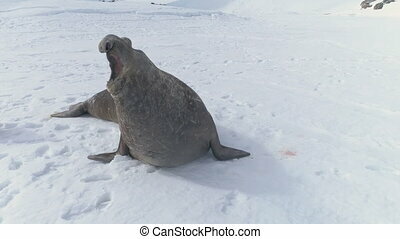 Close-up Yawning Elephant Seal On Antarctica Snow Covered Land. 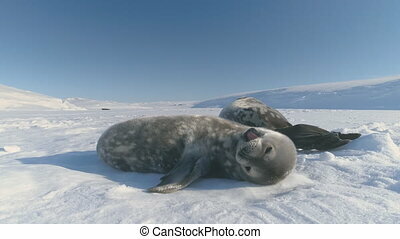 Funny Shot Of Wild Marine Animal. 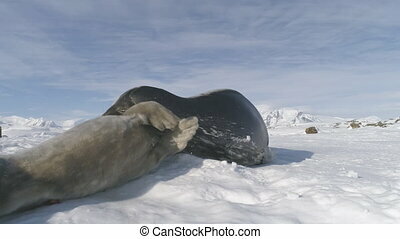 Behavior Of Polar Large Seals. Footprints On Ice, Snow Antarctic Surface. Wildlife. 4k Footage. 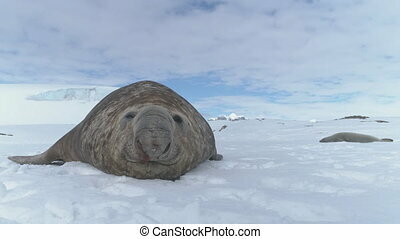 Close-up Elephant Seal Lying On Snow Antarctica Land. 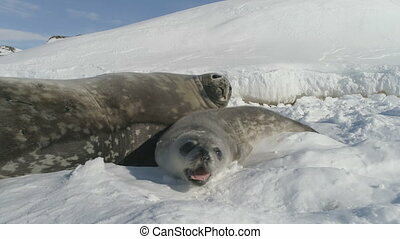 Cute Muzzle Of Marine Wild Animal. 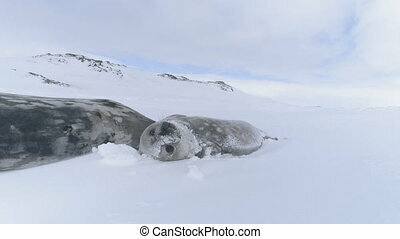 Behavior Of Large Polar Seals. 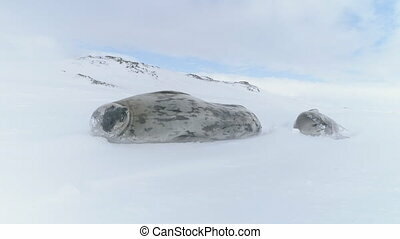 Snow Covered Surface Of Antarctic Continent. Winter Background. 4k Footage. 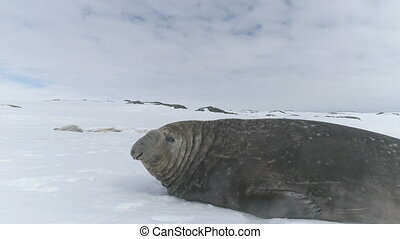 Close-up Muzzle Of Elephant Seal Lying On Antarctica Snow Surface. White Winter Background. 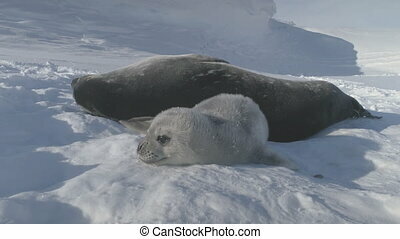 Habits Of Wild Large Polar Animals. 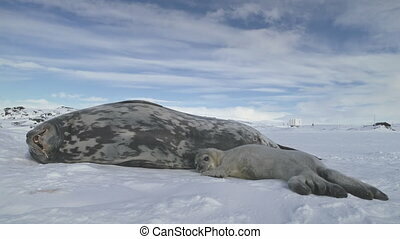 Ice, Snow Covered Antarctic Continent. 4k Footage. 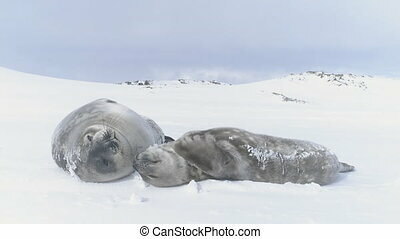 Close-up Weddell Seals Playing On Snow Antarctica Land. Polar Winter Background. 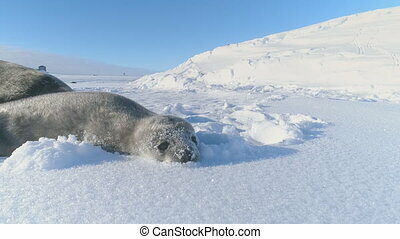 Cute Wild Marine Animals Lying On Frozen Ground. 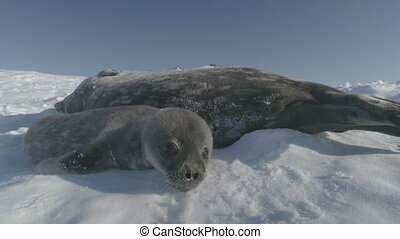 Instincts Of Seals In Untouched Nature. 4k Footage.